Good to Meet You, Missouri River. A confluence is where two rivers meet. There is something magical about this meeting; two rivers combining forces, growing stronger, exchanging stories. It reminds me of the moment in square dancing where a couple links elbows and swings off together. For water, this means do-si-do-ing and promenading downhill, downriver, sea bound. But for each dancer – each water molecule – the story varies. For some it is a story of being buried for centuries by the sea, trapped in limestone dungeons, or locked in the cold grasp of a glacier. For others it’s a story of floating with the wind in a puffy cloud or watering a thirsty tree. Whatever the story the molecules find their way back to the river, so the confluence is not just a meeting but a reunion of sorts. At the confluence of the Marias and the Missouri River it is not just the water droplets that celebrate. Here we meet the Missouri River. Here the two rivers blend into one muddy arrow pointing us downstream to my home town of Kansas City. As the waters underneath the boats celebrate their reunion, I celebrate my reunion with the Missouri River. We are happy to be on the Missouri River headed to Kansas City and beyond. I grew up within biking distance of the Missouri River, but I never felt very connected to it. To me the river was a muddy obstacle which on bike was difficult to cross. I never considered swimming in it and it wasn’t until I was 26 that I ever considered traveling down it. When we first jump into the Missouri River last week, I realized that it was my first dip in the mighty river, my first real experience with a river that flowed near my house for 18 years. Here in lies my motivation for this trip: to meet my river and share its story with kids living along its shores. But for now it is summer, and kids are enjoying the time off just like us. We paddle down the Missouri River, and settle in for the long haul. I had no idea the Upper Missouri was so beautiful! We enter the Missouri at river mile 2,053. Since the miles start in St. Louis that means we have 2,053 miles to go until we hit St. Louis and the Mississippi River, and just a handful less to make it to Kansas City. But I learned a long time ago, on bicycle and hiking adventures, that you can’t get caught up in the big picture. You need to focus on the week or even just the day ahead and let the larger numbers fall short so as not to overwhelm you. I let the number 2,053 hang over me for a moment and then let it slide away. For now the goal is not Kansas City, not St. Louis, not the Gulf of Mexico. For now the goal is the next stretch of acclaimed river designated a wild and scenic river that will end in about 150 miles on the Fred Robinson Bridge. The first thing we notice about this stretch is the wildlife. The river seems to be like a magnet that draws animals in. We spot snakes, frogs, beavers, and fish. Deer seem to be around every bend, looking wild as they raise their heads through the thick grasses, their ears like ornaments pulling in the sounds of our paddles on water. Geese fidget on the river’s edge waiting for a cue to end their lingering. Their long necks dutifully watch our approach like periscopes. Suddenly they are running along the top of the water, honking while their wings pull them into the safety of the air. They fly downriver and wait for us to catch up. The river changes as we follow the geese downriver. The banks of the river grow like trees towards the light. The cliffs turn white like sun bleached bones that from far away seem strong and unintimidated but up close feel soft and crumble under a gentle hand. Between the white cliffs, ribbons of browns and tans hug the edge between land and sky like a topo map. These cliffs, like much of the Upper Missouri are a testament to time and the power of water, and the layers of rock are a clue to their origin. Most of the rocks we see as we canoe down the Upper Missouri River are thick layers of sedimentary rocks, which formed when huge seas covered much of the interior North America. Any rivers flowing into the historic ocean deposited sediment on the shores and ocean floor, just like the present day Missouri River brings sediment from the Rocky Mountains to the Gulf of Mexico. As layers upon layers settled on the ocean floor their mass essentially crushed them together and formed rather weak sedimentary rocks, easily eroded by a much younger Missouri River. You can see the layers of sedimentary rocks that the Missouri River has eroded. In the layers we can count time and replay history. From the sandstone layers I can see the beaches dinosaurs roamed. From the siltstone and shale I can feel the smooth ocean floor. From the layers of volcanic ash I can watch the sky turn dark as distant eruptions fill the skies and ash slowly settles to be swallowed by the ocean. And from the layers of black coal I can survey the thick, lush vegetation that grew and died and grew again. From these layers I wonder what humans will leave behind. 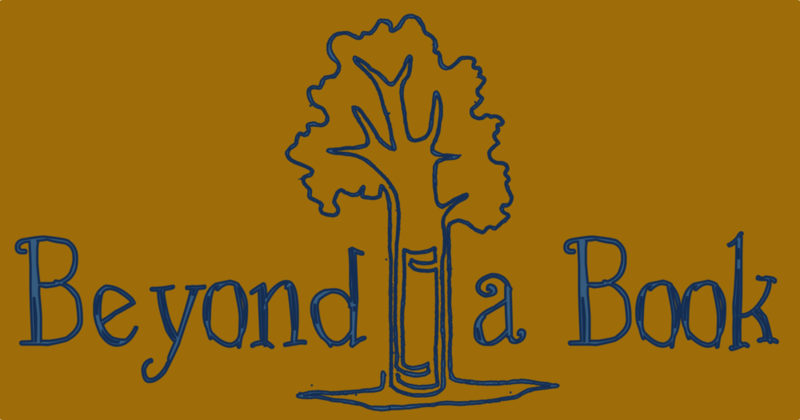 Will we leave behind the crumbles of buildings and layers of landfills, or will we leave behind clues to future minds that we stumbled but learned to take care of our planet? We continue along the cliffs, sometimes canoeing and sometimes drifting as we pass along the Missouri River skyline of white cliff high-rises, igneous rock steeples and crumpled heaps of abandoned rocks. Below them all, the cottonwoods underline the rocky mural with a thick green line. It is quite and calm and more beautiful than I ever expected. It is a wilderness adventure out here on the Upper Missouri! We are in the thick of wilderness here, where bald eagles outnumber humans, where only the stars light the night sky, and where unforgiving terrain keeps the roads away. The river is like a veil, where even my imagination can’t dream up distant cities. This section, people say, is the most unchanged since the time of Lewis and Clark. Still clues of humans exist in tiny corners. On a day hike to avoid losing our leg muscles all together we climb to Hole in the Wall, a popular spot for good reason. Above the river we manage to gain perspective and glimpse the world we are sliding through. It is here we see the pillars of sand, like hoodoos in the desert or castle turrets melting in the sun. Extending out of the maze is a rock wall thick enough to stand on and tall enough that you would NOT want to fall. A window through the wall gives this spot its name. Here carved out names of tourists without perspective scar the gentle rock. The ego is poison here, but luckily the beautiful view is the cure. The Whole in the Wall is beautiful despite the lack of foresight of past travelers. Along the river we spot more human influences. Upstream dams have kept the riparian areas from flooding enough and the cottonwoods suffer for this. Cottonwoods also suffer from the ever present stress of cows on our public lands. Every day we see cows grazing on the green, riparian oasis that outlines the river. Where we see cows, Lewis and Clark would have seen hordes of bison, grizzly bears, wolves, and beavers. We see a few beavers, but the enormity of how productive this landscape once was escapes us. We canoe past the cows to avoid their stink. Muskrats and beavers are common here, but Lewis and Clark surely saw more. Campgrounds too are a new detail. We get to take our pick from developed campgrounds with fire rings and outhouses to undeveloped sites where we must stomp down the grass to cook our food and poop into wag bags (yep you read right!). 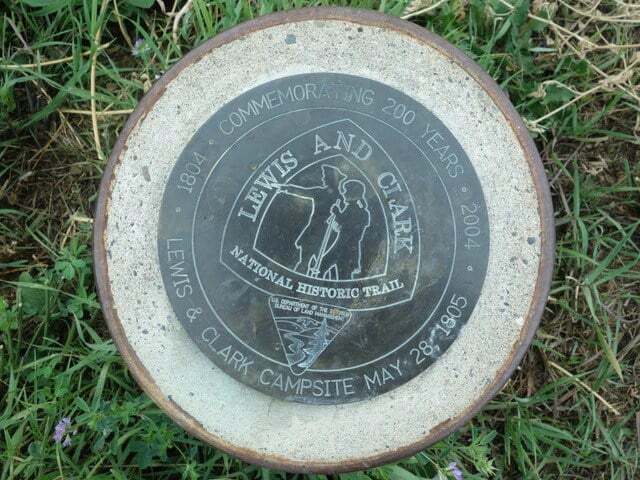 Among these spots are the historic campgrounds of Lewis and Clark, and for history buffs willing to look hard enough you can find a marker at each spot. As we explore downriver we can’t help but think of Lewis and Clark and their struggles and victories and the enormity of what they undertook. And while things are different, I feel lucky that much is still the same. We find a few Lewis and Clark campsite markers, but we find our own camp spots. So we continue downriver. We pass small confluences that celebrate their meeting and make the river stronger. It feels like a rally. As we progress we gain more and more supporters, all headed to the same spot. And while we might pause along the way in towns like Kansas City, we will eventually make it back to the river to continue with the water to the Gulf. Each time we reunite with the river we will celebrate and exchange stories with the water that carries us.